Geotexan manufactures different types of fibers for use in different applications while maintaining high technical performance and high levels of quality control. The Geocem provides high quality and characteristics, ideal for additive concretes and mortars. 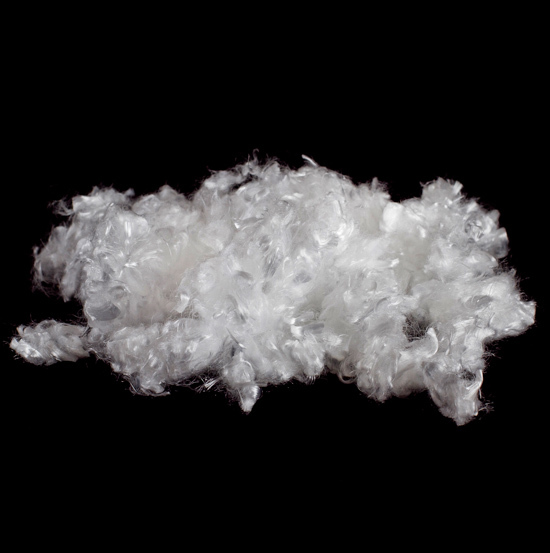 The GEOCEM is a 100% Virgin made polypropylene fiber following the latest systems of extrusion and spinning that provide a high quality and important characteristics that make it the ideal complement for additive concretes and mortars. This product is marketed under the protection of the CE marking as set forth in Directive 89/106/EEC of products for the construction. This CE marking follows the standard UNE – EN 14889-2 fibres for concrete. This product does not have to be classified as dangerous according to the regulations of the CE (67/548/CEE-88/379/CEE). Therefore, it will not take a specific signaling. The use of GEOCEM fiber in fresh concrete reduces the formation of micro cracks in the setting, responsible for the later emergence of shrinkage cracks. Suitability for hardened concretes increases the impact resistance and dimensional stability. In addition, it increases the fire resistance and tenacity index and decreases permeability. GEOCEM fiber also increases the behavior of the concrete against abrasion. Fibre Geocem is made in water soluble paper bags den cuts of 6, 12 and 24 Mm. From 150grs to 1500grs. In the elaboration of concretes and mortars we can add fiber GEOCEM both dry and after water dosage. GEOCEM fiber may be used in any type of mixer used for the elaboration of concretes and mortars. The ideal dosage of fiber GEOCEM is 0.6 Kg/m3 and the time of mixing is approximately 50 seconds/m3 and the mixing of the concrete mixing plant of 30 to 45 seconds approximately by m3. For high strength concretes are recommended in dosages of 1 Kg. /m³. Extruded fiber from polypropylene pellets 100% Virgin, for industrial use.